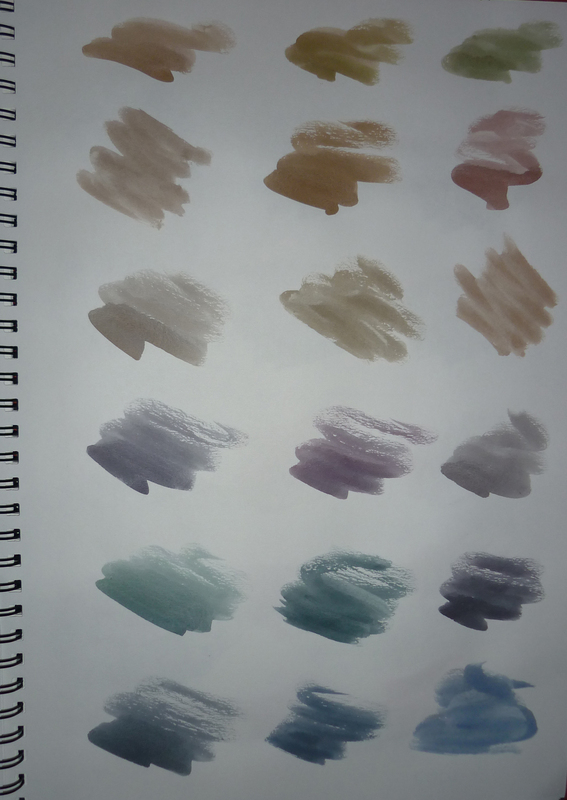 What is the colour of frustration… no idea! 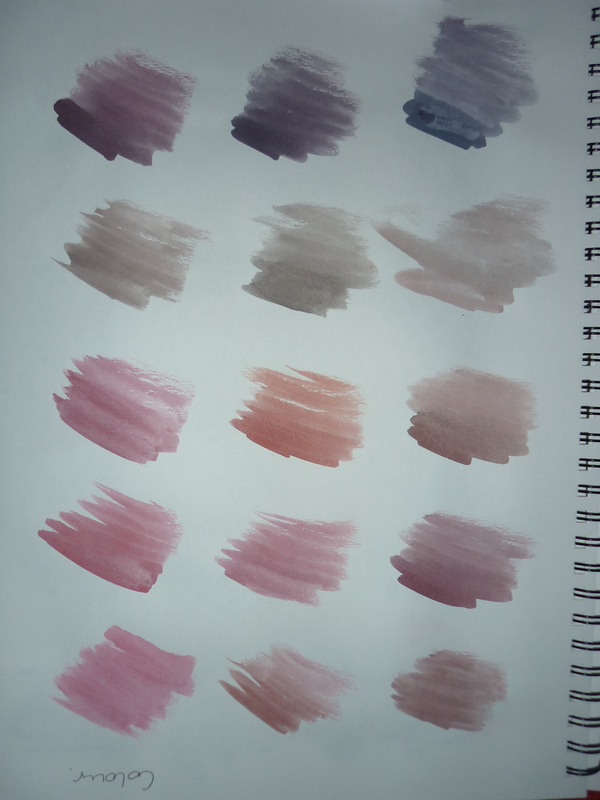 Both of these are watercolour samples, I feel like they are too wishy washy for the word frustration. 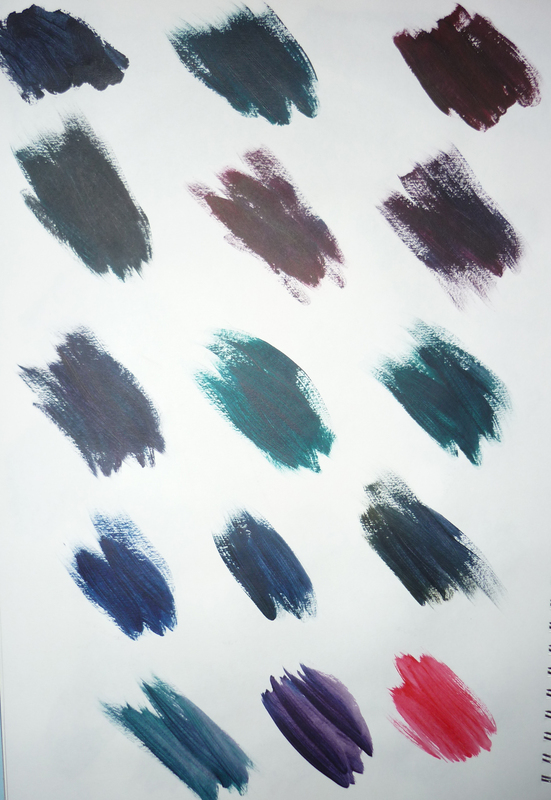 The colour themselves aren’t too bad with the deep blues, greens and purples but I still feel like frustration should be strong colours that show power and raw emotion. So from this I moved onto acrylic paint. I feel these are a lot better as they are stronger and more rich in pigment. 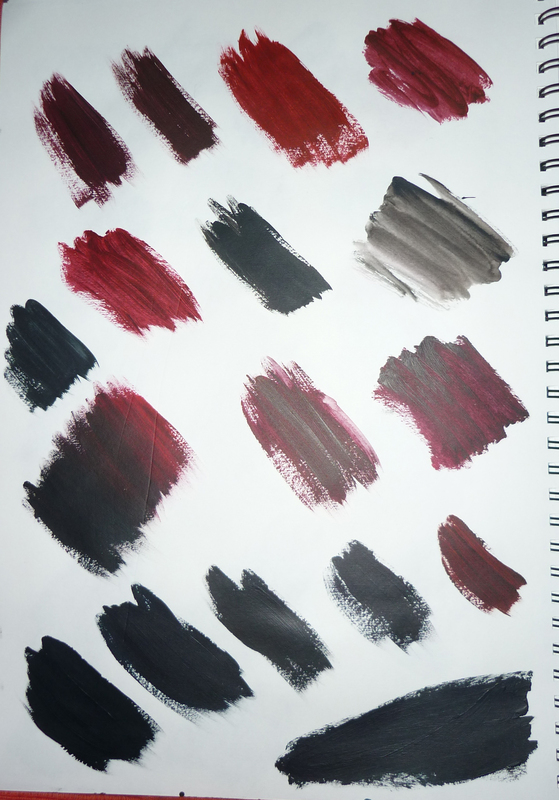 They also seem to have more texture with the brush strokes and the thickness of the paint adding natural tone; I can get a lot more depth using acrylics rather than watercolours. I also had ago at express frustration through line. 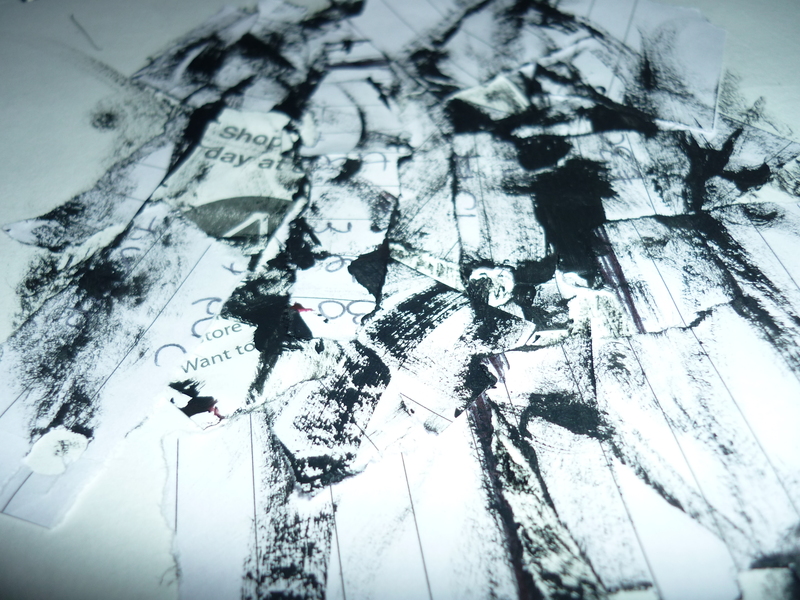 To have a glance it just looks like I have just scribbled all over my piece of paper and be done with it. To be blunt that’s basically it! 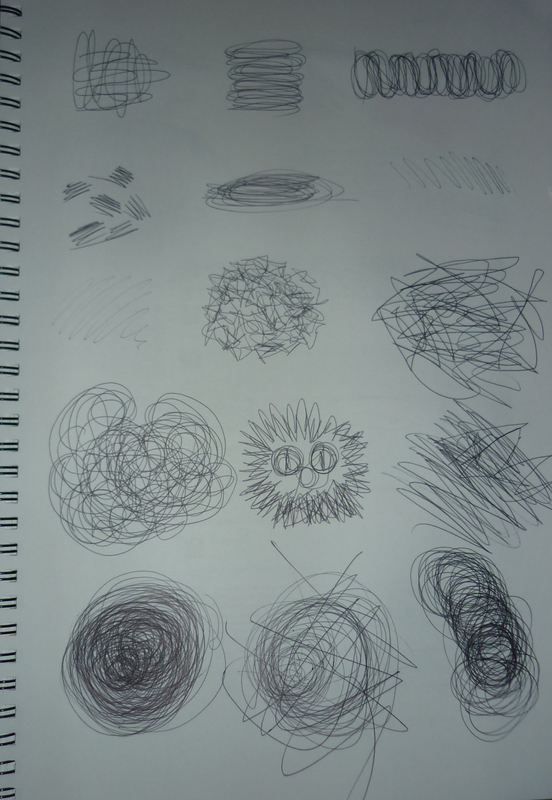 However, looking deeper into these scribbles I have noticed patterns and which scribbles work and don’t work. 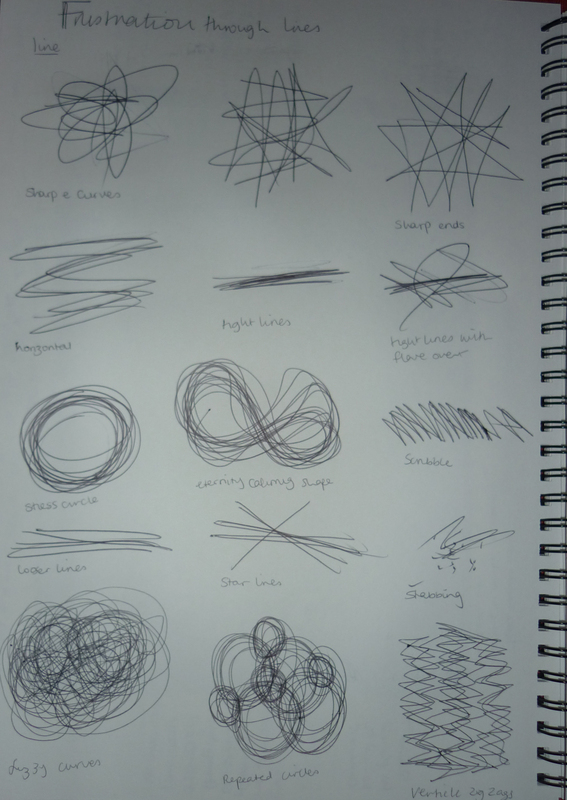 The patterns being repetition is the key to showing frustration as well as scribbling in all directions not necessarily going back and forth in a straight line. The harder I press on my pen the more stressed it looks and passion, the lighter I press the least tense and frustrated it looks. Combining the two, I have combined paint and the pen scribbles as well as other materials to see what the outcome would be. 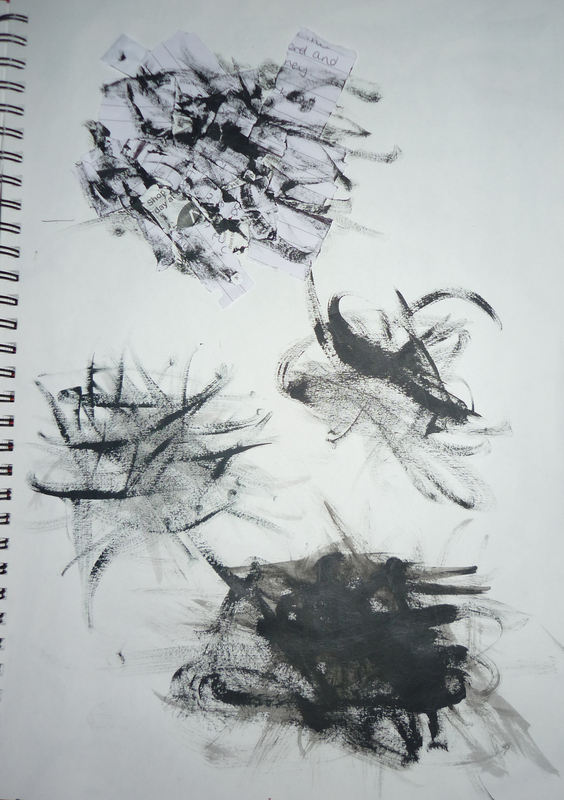 Using the paint brush like a pen it has given a rough texture on the outside edges with dark concentrated darkness in the middle. I added ripped up paper that I wrote on which suggests maybe a letter was being written or some homework but the person couldn’t do it and got frustrated and tore it to pieces. The brush strokes again give a lovely feel of rough texture and the edges of the paper sticking up makes it seem raw and rough. By doing these mini experiments I can see what works and doesn’t work when trying to communicate the feeling of frustration. Obviously this aren’t final pieces but I can take advantage of the pieces that work and morph them into something better. This entry was posted in What is the colour of Frustration?.